Entry Fees cannot be refunded. Cheques should be made payable to: Lochaber Music Festival Association. Entry Forms, along with the appropriate fee, must be with the Programme Secretary, John Whyte, Torr Beitheach, Glenfinnan PH37 4LT (entries@lochabermusicfestival.co.uk) on or before Friday 25th January 2019. Entries received after the last postal delivery on the 25th January may not be accepted. If possible we would ask for entries to be submitted electronically via the website www.lochabermusicfestival.co.uk or by emailing the Excel form to simplify the processing of data. A Copy of "Own Choice" music or poetry for adjudicator (where required), INCLUDING TRANSLATIONS if not in English, should be delivered to the Secretary (Torr Beitheach, Glenfinnan PH37 4LT) by the 15th February 2019. "Own Choice" music for accompanist should be delivered to the Secretary at Torr Beitheach, Glenfinnan PH37 4LT by 15th February 2019. COPYRIGHT REGULATIONS FOR “Own Choice” WORKS. Marks may be announced for the first THREE places only, at the discretion of the Adjudicator. 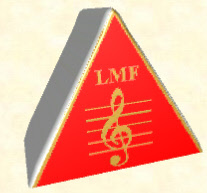 A new scale of marks has been adopted generally by Festivals throughout the Federation. A note of the new scale is given at the end of the Syllabus. ADJUDICATORS' DECISIONS ARE FINAL and adjudicators may not be approached with queries on their decisions. If this happens the committee reserves the right to refuse further entries from the performer, performer’s representative or teacher who makes the query. If the query disrupts or holds up the proceedings in any way then the performer or teacher may not be allowed to make entries for a period of up to three years. In the event of a competitor qualifying, and being invited by the adjudicators to compete in more than one class in any one of the Premier Vocal, Premier Instrumental or Premier Scots Traditional Award Competitions, the competitor must choose and perform ONE piece only. This rule also applies in qualifying competitions which have two set or own choice pieces. For the Traditional Award Competition, competitors may perform a programme of up to 5 minutes of music already played. A COMPETITOR CANNOT COMPETE AGAINST HIM/HERSELF. Mark Sheets should be collected by sponsors after the close of each competition. The services of the official accompanists are available to all competitors, but competitors may bring their own accompanist if they so desire. Permission has been granted to allow School Choirs to compete in the Festival within school hours. In all competitions where an AGE QUALIFICATION is stated, the governing date shall be the 31st December 2018. A limited number of competitors, chosen by the adjudicators, will be invited to appear in the evening concert. To secure a balanced programme, it may be that all the first place trophy and award winners cannot be invited. Junior competitors must be accompanied by adults (at least one adult per team) who will be responsible for the conduct of the children attending the Festival. This applies to all Junior competitions in the Festival. Where two entrants are at different levels of performance, adjudication will be at the level of more advanced player. Open classes are for entrants of Advanced level or above. Intending competitors who have difficulty in obtaining any of the Test Pieces should communicate with the Secretary. In the event of a Test Piece still being unobtainable on 1st February 2019 competitors may substitute an “Own Choice” (see Rules No.3 and 4). The Secretary must be notified if any change is made. A Test Piece in the Syllabus cannot be given as an “own choice” piece in another class at this Festival. Competitors cannot perform the same piece in more than one class at this Festival. The only exception to this rule is where competitors are invited to appear in a final competition. Trophies awarded one year MUST be returned for the following year as soon as they are requested. We would like to emphasise that trophies should be taken good care of and cleaned before they are returned for presentation. PLEASE RETURN ALL TROPHIES NO LATER THAN 15th FEBRUARY 2019.